Extra Apprising And Freaking Newsflash: Ken Silva Finds An Evanjellyfish Washed Up On The Shore! We believe there is not such thing as a biblical discussion because there is truth and there is error. We don’t make error, you make error. 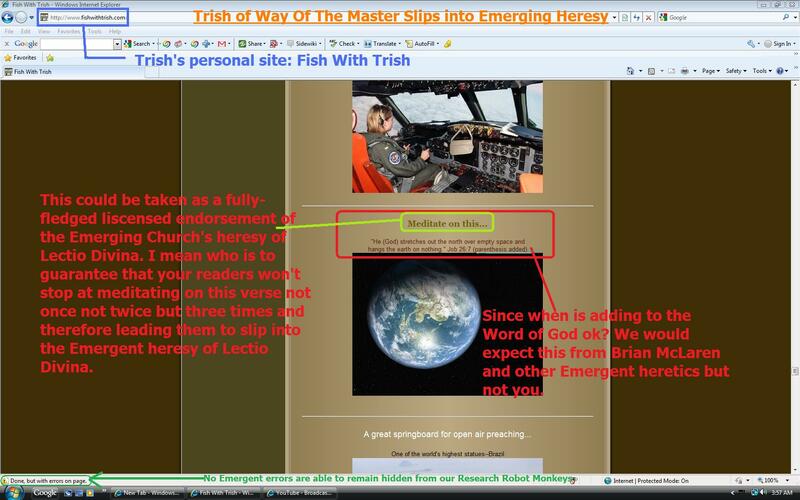 We state the truth (because we have THE OFFICIAL DISCERNMENTALIST STANDARD ORTHODOX BIBLE BELIEVING REPUBLIICAN RIGHT WING TRUTH OF THE AMERICAN GOSPEL) and you must assent to it otherwise you are an unorthodox, bible hating liberal that you are. There is no discussion other than us telling how to believe, how to behave, who to vote for, how to think and and how to live. Moreover, you need to LEARN to fear a lot of things too if you want to be as pure as us. 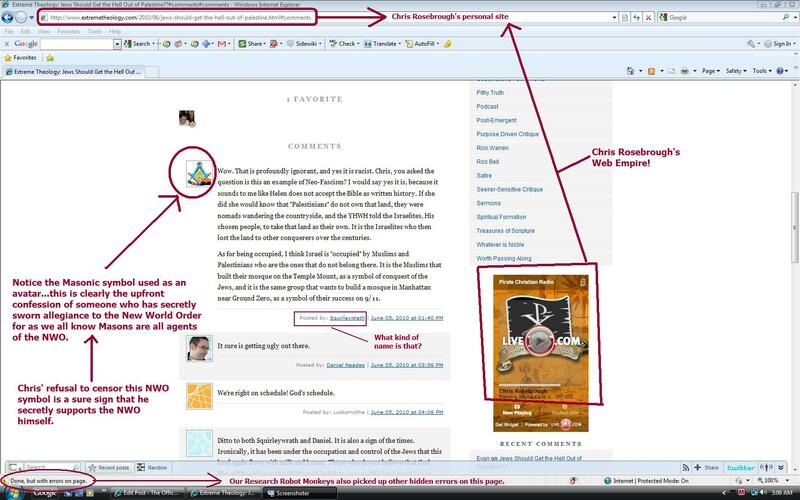 This is why we believe in promoting the following when we speak to others…. 1. A willful ignorance in which we choose to embrace a caricature of someone’s view rather than truly seek to understand it – or worse, an intentional dishonesty in advancing such a caricature we know to be misleading or untrue. 2. An unwillingness to allow persons to speak in their own words and argue against the actual content of their position. 3. Rejection of a view “out of hand” without having considered the merits of the argument. 4. An unwillingness to engage in real discussion, either talking past each other by ignoring the honest questions of others or engaging in debate/rhetorical techniques that are designed to win an argument rather than actually seek the truth. 5. Taking offense or rejecting an argument because of a perceived practical implication or application of someone’s view rather than the view itself. 6. Ascribing a perceived logical outcome of an opponents view and attacking that outcome rather than the view itself. 7. A willful blindness to our own presuppositions and or a failure to acknowledge those presuppositions of which we are aware. 8. Parsing words to the point of ascribing hidden agendas or extracting meanings never intended by the person. 9. Failure to give one’s opponent the benefit of the doubt in terms of personal motives. 10. A blindness to our own motives and personal agendas. 11. Attacking the character of the person rather than the argument made. 12. Responses that are reactionary not thoughtful – i.e., responding to something which we have neither read, sought to understand, reflected, nor considered the merits yet on which we have a strong, unwavering opinion that must be heard. 13. Responding to critics from a defensive posture rather than engaging in real discussion in a common desire for truth. 14. Name-calling or lumping a person into a particular camp in order to dismiss one’s argument without engaging it. 15. A dogmatic approach to issues which are tertiary in nature, on which persons of good conscience disagree, and which are more unclear in Scripture than we are willing to admit. 16. A failure to do theological triage resulting in an elevation of tertiary issues to secondary or even first order status. 17. A failure to have an irenic spirit and treat our opponents with respect. 18. A lack of humility. When you are as truthful as we are…we don’t need to be humble. We simply need to be defensive and caustic to prove our point. Please imbibe and practice these 18 points if your are a mighty truth warrior. 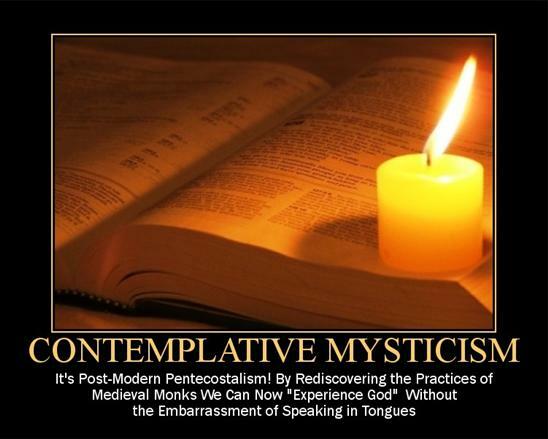 Worried that your church or your home may be infiltrated by Emergents or any of the other heretical type reprobated people like Catholics, New Age Apostates and Arminians? 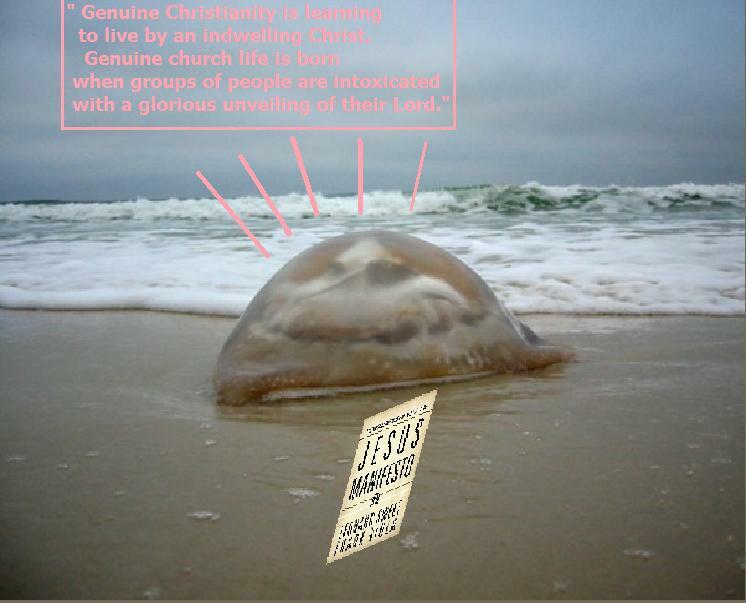 Never fear Pirate Radio has teamed up with we of God’s Only Inerrant Party and the Online Discernmentalist Mafia to bring you the new Multi-Zone Biblical Theology Detector. Now you can verify if someone has Biblical Theology or not before they even come into your vicinity. 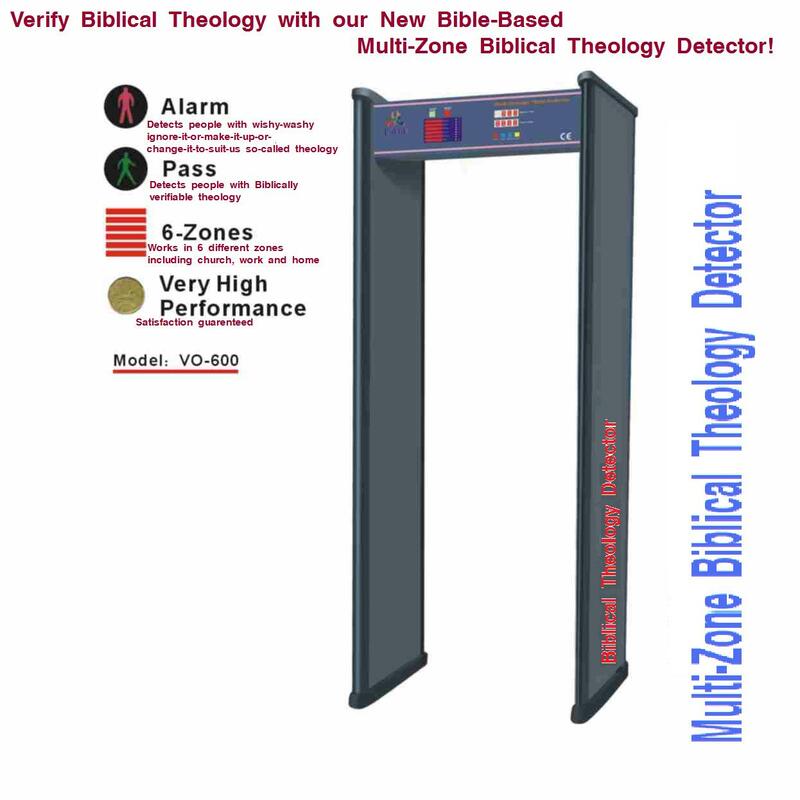 Just place our Multi-Zone Biblical Theology Detector near a doorway, gate or anyother type of entryway and let the Multi-Zone Biblical Theology Detector work it’s magic for you. The Multi-Zone Biblical Theology Detector will automatically detect if someone has Biblically verifiable theology or wishy-washy ignore-it-or-make-it-up-or-change-it-to-suit-us so-called theology. If someone has Biblically verifiable theology the green Pass sign will light up while playing a Bible-Based tune like the hit song and theme song of GOIP-Lander: God Hates The World or it’s love theme: Broken Wings. 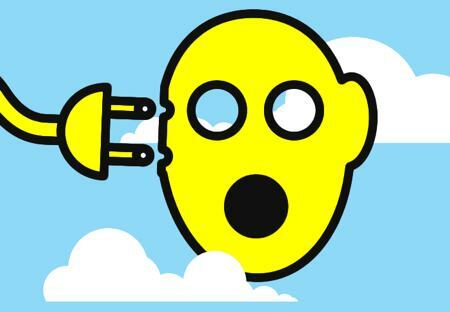 However if someone has wishy-washy ignore-it-or-make-it-up-or-change-it-to-suit-us so-called theology the red Alarm sign will frantically flash while sending volts of electricity into the perpetrator and also filling their ears with loud and foul sounds. You’ll never have to worry about the ungodly and unbiblical ever infiltrating your Holy grounds again with the Multi-Zone Biblical Theology Detector protecting the Purity of your Doctrines and the Sanctity of your vicinity. Now you can remain unsensitive to Seekers with ease with the Multi-Zone Biblical Theology Detector doing all the work for you. The Multi-Zone Biblical Theology Detector not only works on people but also on pets and objects as well. It also functions as an Absolute Truth detector and also verifies Biblically-correct theology in books. The Multi-Zone Biblical Theology Detector also comes in a version for automobiles and other vehicles—never let the ungodly ride with you. Customer satisfaction guarenteed! You are currently browsing the archives for the Herescope category.